BEAUMONT, Calif. (KABC) -- Multiple law enforcement agencies on Saturday afternoon were responding to an incident initially reported as an active shooter in Beaumont, authorities said. 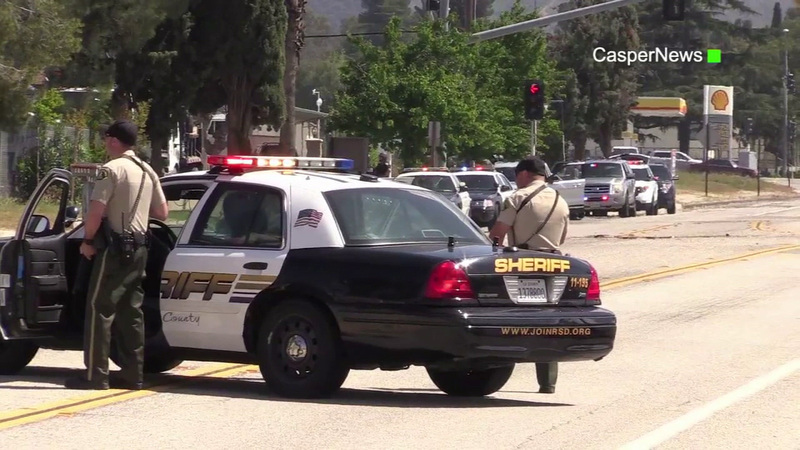 The Riverside County Sheriff's Department later said a shooting and possible homicide had occurred, adding that the suspect was believed to be barricaded inside a home. "There is an active shooter in the area of Cherry Valley Blvd in between Nancy and Beaumont Ave," a preliminary tweet from the Beaumont Police Department said at 11:45 a.m.
About 30 minutes later, the sheriff's department said the suspect was "Not (an) Active Shooter." Officers and deputies had set up a perimeter in the area. The police department warned the public to avoid the location.